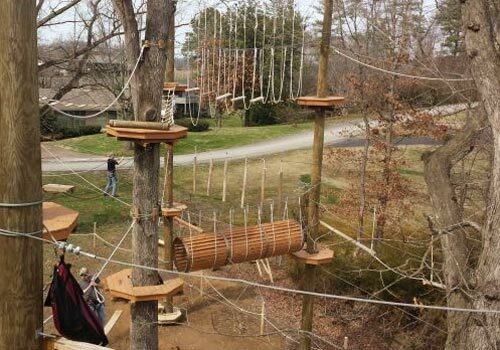 Adventureworks Climb Zip Swing is not currently available. 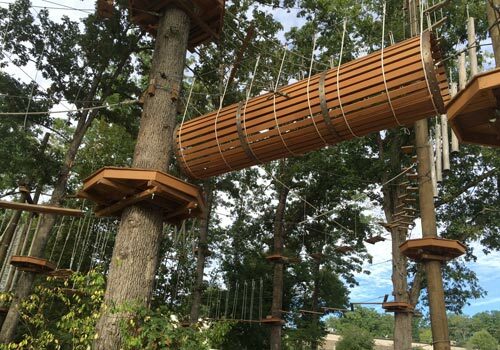 Bring the family to Adventureworks for a whole lot of monkeying around. 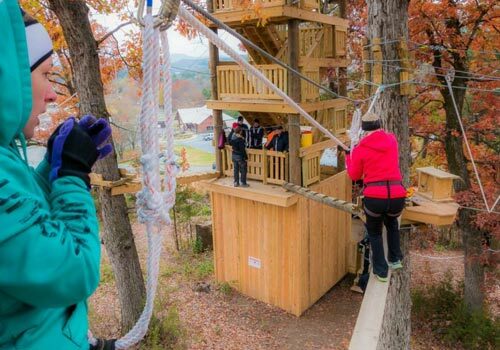 Climb, zip and swing your way through the treetops at this Pigeon Forge outdoor attraction. 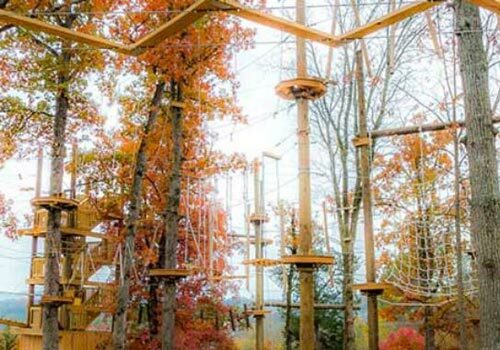 Not only that, there is an aerial adventure course with obstacles and challenges like broken brides, swinging grapes vines, and more. 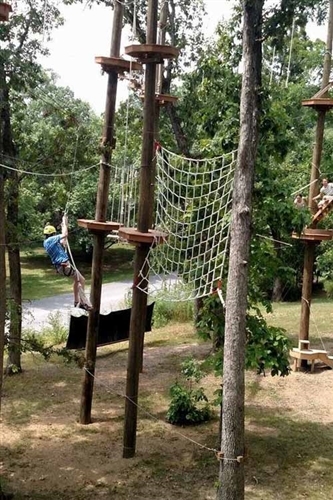 It’s ideal for adrenaline seekers. 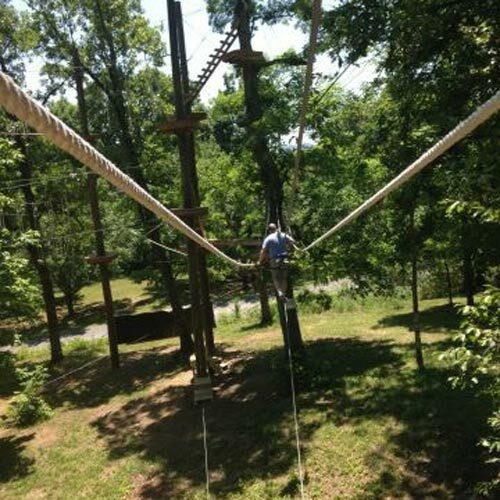 Aerial adventure course with ziplines and obstacles. 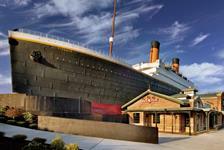 Features include broken bridges, swinging grape vines, and hanging cargo nets. Conveniently located on the Parkway. Plan 2 hours for tour. 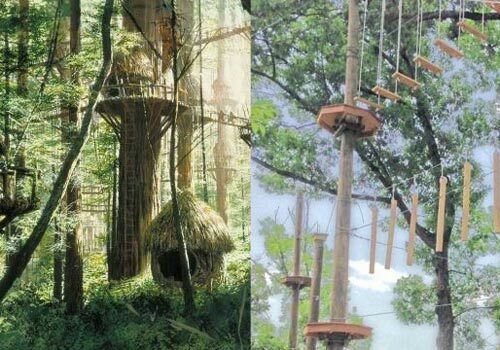 Climb, Zip and Swing your way through the tree tops! 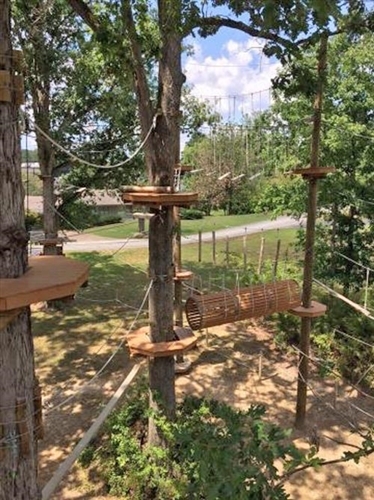 In addition to zip lines, this arial adventure course includes obstacles and challenges spread across two levels, and covering over an acre of treetop canopy. 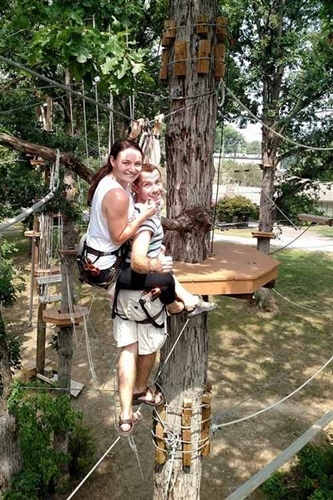 Harness up with a partner for challenge and fun as you maneuver your way across broken bridges, swinging grape vines, hanging cargo nets, and much, much more. 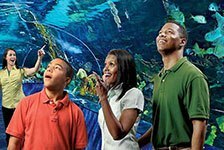 It's the perfect adventure for families with older kids and teens! 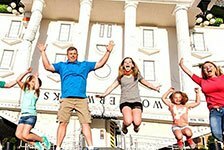 Adventureworks is conveniently located on the Parkway in Sevierville, making it an easy trip for anyone visiting the Smoky Mountain area (Gatlinburg, Pigeon Forge, and Sevierville). Please arrive at least 15 minutes prior to your schedule time. There are no cancellations or refunds. 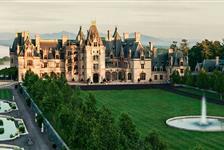 Schedule changes may be arranged up to 7 days prior to your reservation. You cannot reschedule the date or time if it is within 7 days of your tour. If you fail to meet your appointment, we incur all the same expenses and may have turned others away; therefore, guests who fail to show for a reservation or fail to arrive at the scheduled time will be charged the full tour price. 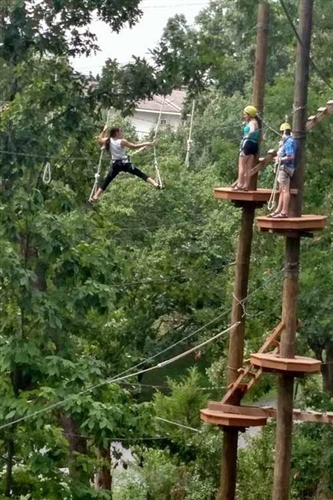 Participants must be 8 years old to do the aerial adventure course. Participants younger than 12 must have a parent or other responsible adult accompany them through the course. 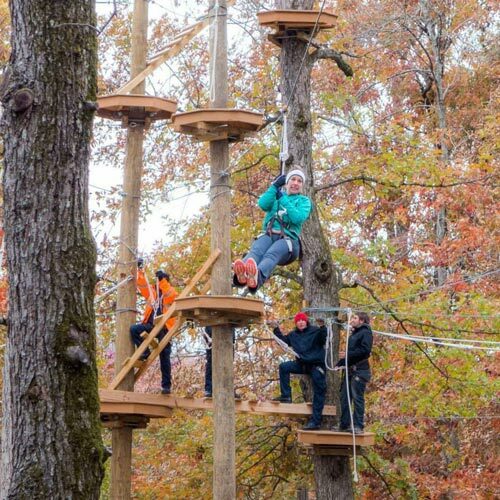 Participants over 12 may do the aerial adventure course alone. Please arrive at least 15 minutes prior to your schedule time. The tour is up to 2 hours. Participants have two hours to complete as much or as little of the course as they choose. Dress as if you were going hiking. We recommend closed-toed, thick soled, sturdy shoes. Absolutely no flip-flops or flimsy sandals! Be sure to dress appropriately for the weather. In cold weather, wear a close-fitting hat (that will fit under a helmet) and gloves. Wear clothes that you don’t mind getting dirty. The lower level ranges between (approximately) 14 ft to 25 ft off the ground. The upper level ranges between 28 ft to 55 ft off the ground. 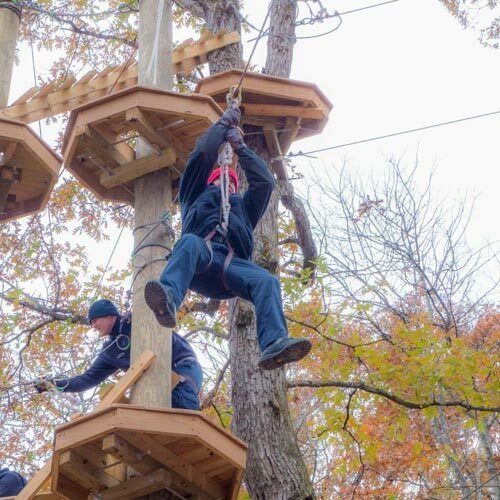 The Aerial Adventure Course is a moderately physically (and mentally) demanding adventure. Can I do just the upper level? No. You must complete a section of the lower level and be checked off by one our guides before you can go to the upper level or more challenging section of the lower level. 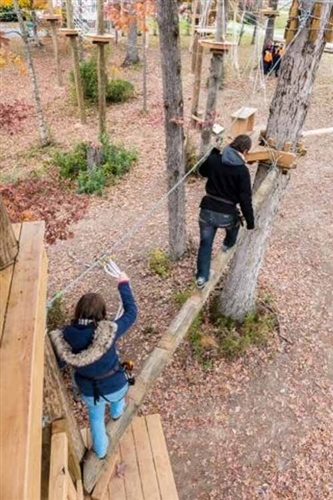 Can one or two people come and do the adventure course or do you have to be part of a group? 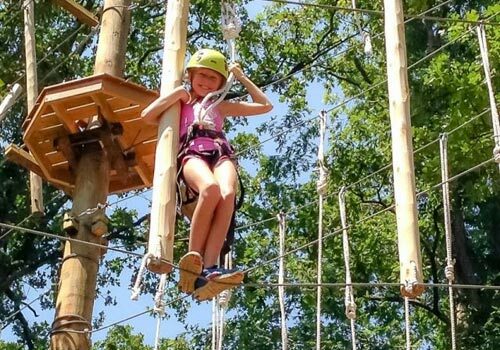 There is no minimum number required to schedule the aerial adventure course. We will try to schedule with other participants, however if you are the only one scheduled we will run the tour just for you.